The newly stuccoed Su Gong Ta Mosque looked freshly built. A coat of desert-colored stucco covered every last surface, a mixture of mud and straw draped like a giant sheet. 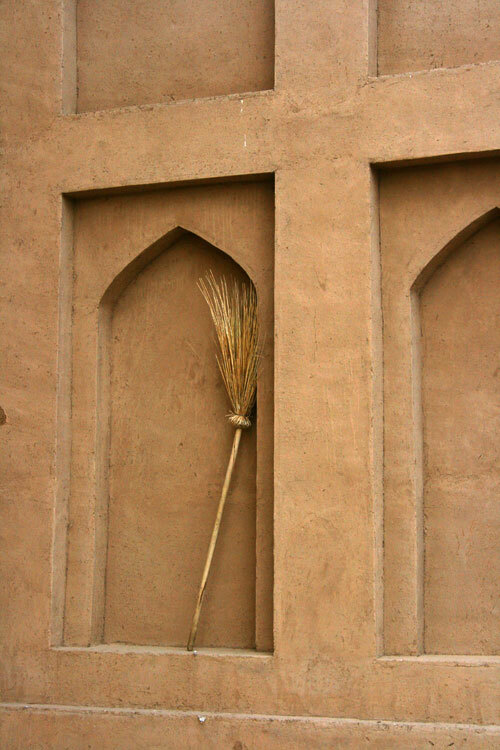 This broom stood waiting next to the main doors.